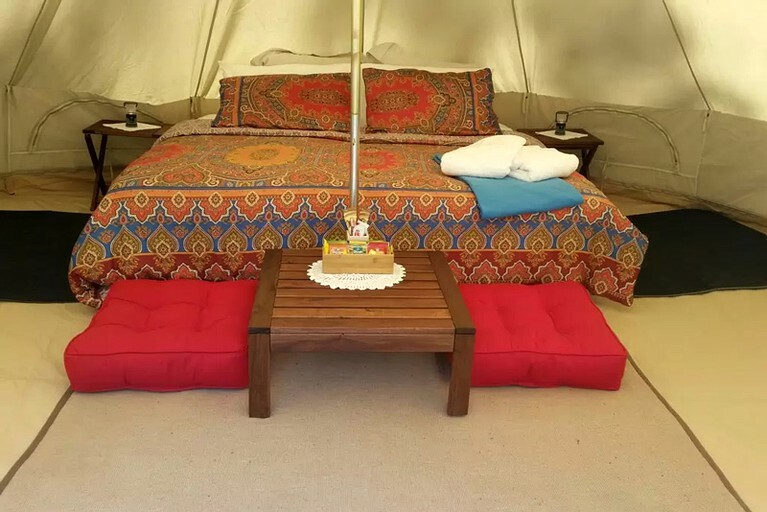 This charming glamping site features a bush kitchen with barbecue facilities, ensuring that guests can cook delicious meals while spending time with family and friends. Depending on the season, a fire circle can be lit providing an opportunity to have a cup of tea around the fire, toast marshmallows, and tell a good story. Guests will be free to walk through the beautiful forest and enjoy the tranquil setting with the sounds of the ubiquitous bell-birds. 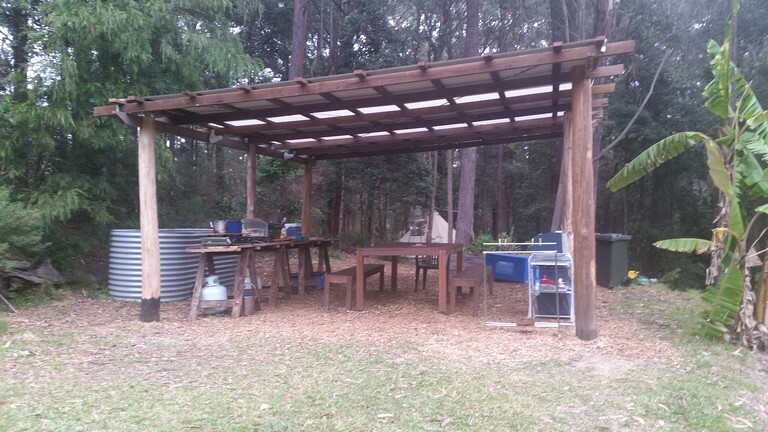 Located in a garden glampers will find herbs, seasonal vegetables, and free range eggs available. 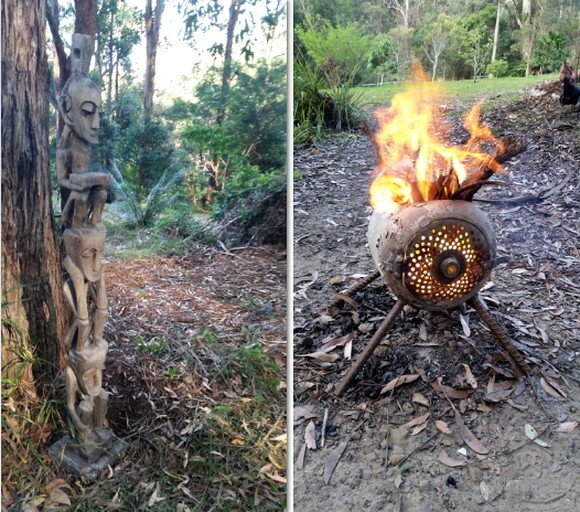 This unique coastal farm retreat also has an authentic eco-bush toilet and shower for all guests to use. 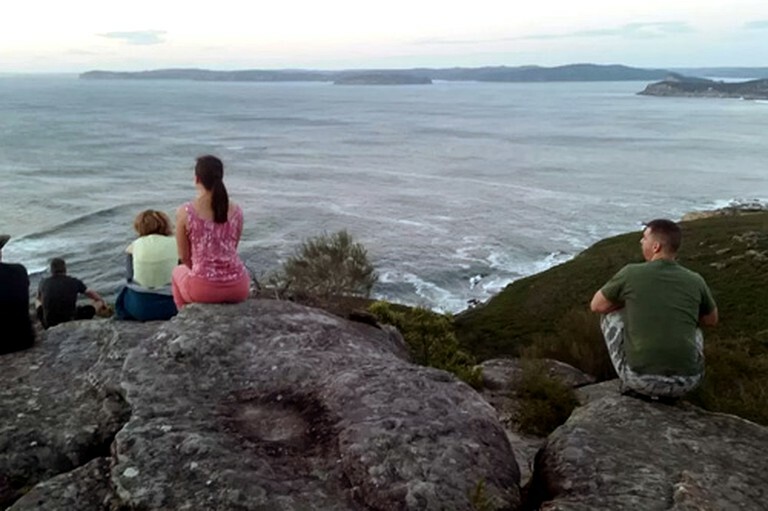 Guests can book remedial massages for $80.00 for 60 minutes, shamanic healing is available for $120.00 for 60 minutes, and a guided bush walk (a 30-minute drive and one hour easy walk) is $100.00 per person. Please inquire with the host for more details and to book. Guests can take a trip to Avoca Beach, a popular surf beach lined with towering Norfolk Island Pines, and a relaxed atmosphere which is sought after by locals and visitors alike. 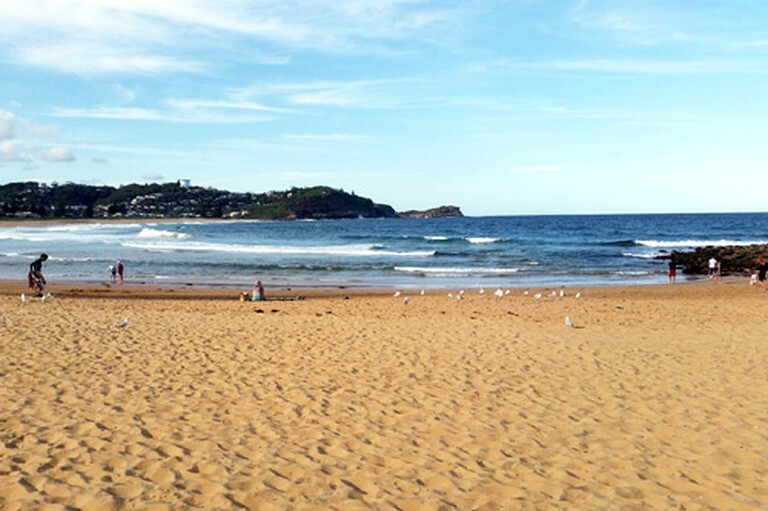 Avoca Beach is less than a ten minute drive from the luxury tents. Guests will find an array of attractions available there to keep themselves occupied. There is a picture theater, Aquafun Avoca Lake, and beach side markets. Whether guests want to go swimming, sunbathing, surfing, or scuba diving, it is certain there will be something for everyone to enjoy. 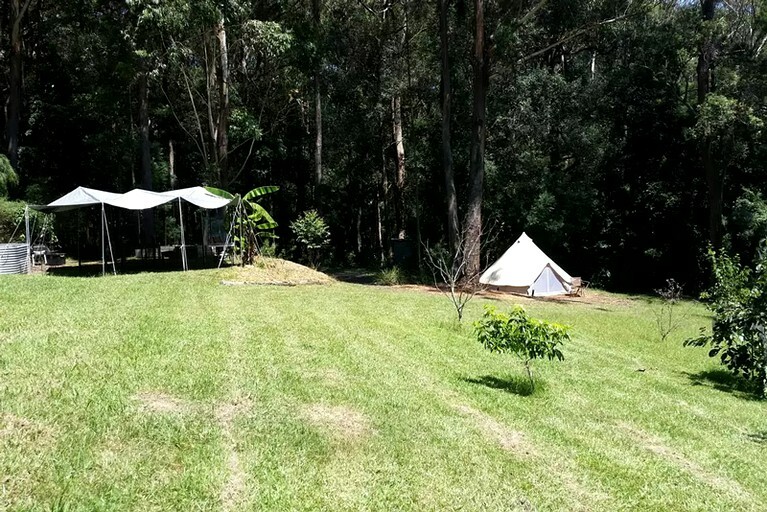 Aquafun Avoca Lake is a "Must Do" Central Coast experience. Hire from a huge selection of pedal boats and kayaks, or try stand-up paddle boarding. Aquafun is located on the shores of Avoca Lake. An idyllic location, with shady picnic and barbecue areas, shops, cafes, children's playground and just 100 metres from the beach. Aquafun is a great Central Coast activity suitable for the whole family. 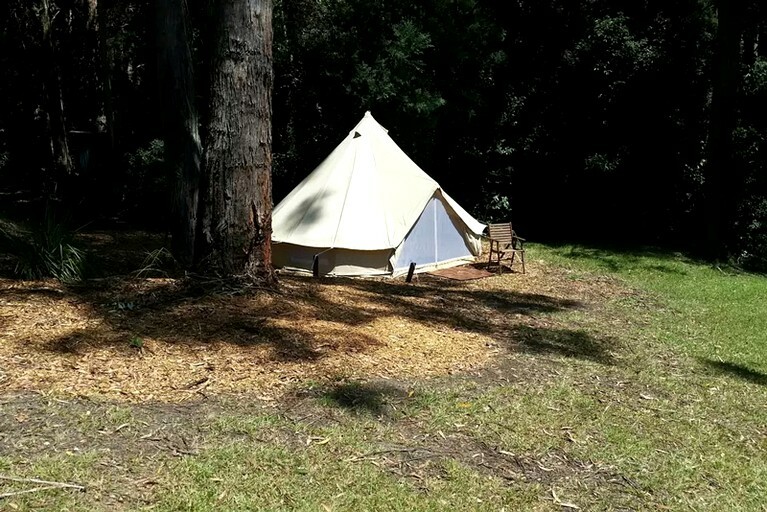 The minimum stay at this glamping accommodation is one night and pets are not allowed.